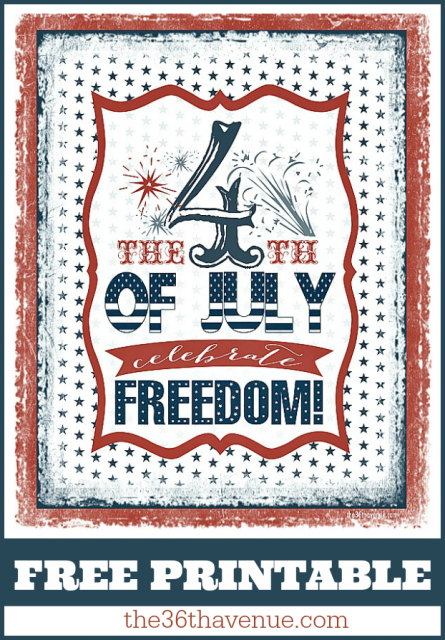 Are we ready to decorate for the Fourth of July? 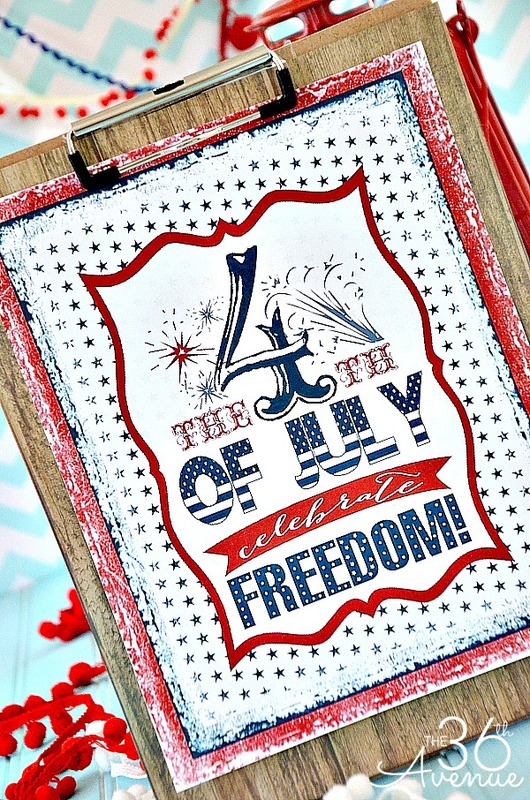 Today I am sharing an adorable and festive Free Fourth Of July Printable and I’m also bringing to you the greatest Patriotic Blog Hop that you’ve ever been a part of! What a fun way to celebrate the Red, White and Blue! I am loving the old vintage feeling of this print! © The 36th Avenue. Please do not copy and paste this image. I wanted to make a timeless print… Something that could represent the old and the new! I decided to not frame mine but to display it on a clipboard with a wood scrapbook paper for background … So fun! When you are ready to print all you need to do is click HERE. 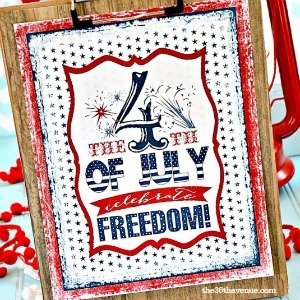 Now let me show you the AMAZING Blog Hop full of Patriotic Projects that we have for you! I love how festive and easy all of these Fourth of July Patriotic Ideas are!!! Make sure to click on the boxes below and enjoy this Patriotic Feast! Super cute Desi! Printed and going up in my house right now! Thanks for the freebie and your creative energy. I appreciate that you made it available to everyone to enjoy and not just “fans” of social media. 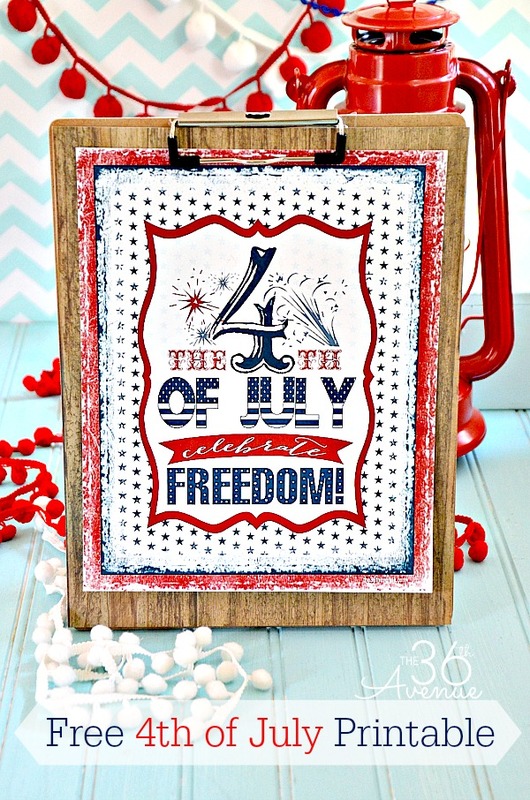 I love this printable, it’s way cute and would be perfect with my patriotic decor. Pinning! Thank you Jillian for sharing and pinning! Darling! I love it on the clipboard for the background! You are so sweet my friend… Thank you so much! LOVE how vintage-y this is! Gorgeous, gorgeous. I LOVE this! I can’t wait to print it out and put it in my house! Thank you my love!!! I am also loving and pinning your hair tutorial… YOU ARE ADORABLE!